A classic scene that perfectly mixes both comedy and intensity, which is exactly what The Joker is supposed to be. 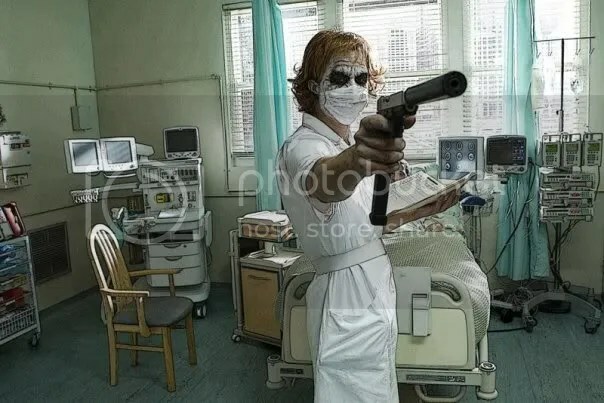 This entry was posted in All, Top 50 Movie Scenes and tagged Aaron Eckhart, Harvey Dent, heath ledger, Joker Nurse's Outfit, the dark knight, The Dark Knight Hospital Scene, The Dark Knight Nurse Scene, The Dark Knight Scene, The Joker, The Joker Hospital, The Joker Nurse, Top 50 Movie Scenes. Bookmark the permalink.